The pressure has to be so great in this land to ever obtain any justice. 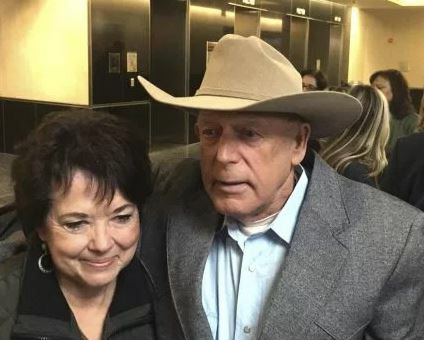 In the case of the rancher, Bundy, the government has been on a crusade to imprison him if not outright murder him to uphold their supreme authority to ignore the Constitution. This is what is called a Brady Violation. Rarely will any federal judge actually dismiss a criminal complaint of the government on a Brady Violation – perhaps one in a million, if that. They have also crafted “harmless error” analysis to basically say you would have been convicted anyhow so rights do not matter. Brady v. Maryland, 373 U.S. 83 (1963) was a landmark decision by the United States Supreme Court which established that the prosecution must turn over all evidence that might exonerate the defendant (exculpatory evidence) to the defense. The prosecution failed to do so for Brady and he was convicted. Brady challenged his conviction, arguing it had been contrary to the Due Process Clause of the Fourteenth Amendment to the United States Constitution. Prosecutors hate to ever turnover anything that will defeat them in court. In United States v. Bagley, 473 U.S. 667 (1985), the Supreme Court effectively overruled Brady by applying Harmless Error analysis meaning you have the burden to prove now that the evidence withheld WOULD HAVE changed the verdict. And who does the analysis? A judge of course and never the people. In order for the Bundy charges to be thrown out, there must have been a lot of posturing behind the curtain. The government can always appeal and the likelihood of an appellate court overruling the district court is 100%. So what took place was to a large extent political. They wanted to get this off the table. Bundy spent 700 days in prison.